WannaThankYou - Let Your Good Deeds Shine. Let Your Good Deeds Shine! of all the good deeds that you do, so that the faith in Humanity is restored. Help us tell your story to the world, and together, we can spread Goodness all around the Globe! Let’s Be The Change (LBTC) is an NGO which aims to build a cleaner and healthier society by working with the people and the Government. The MINDS Foundation is committed to a bottom-up, grassroots approach based on the knowledge that creating lasting change requires strong partnerships with local communities, health workers. White Swan Foundation for Mental Health is a not-for-profit organization that offers knowledge services in the area of mental health. 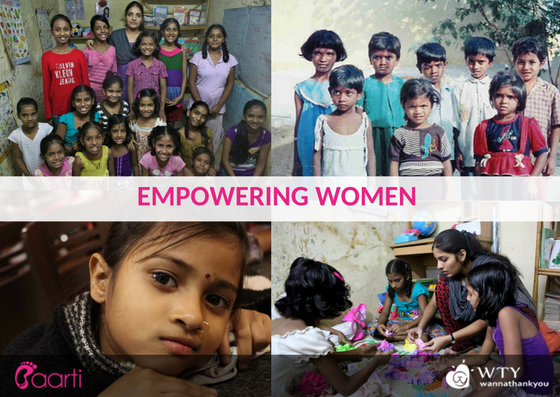 We are Udayan Care and we transform young lives by Protecting and nurturing vulnerable children and youth igniting the spark in young women to pursue higher education. Sanket Foundation is a charitable trust that works with deaf people in India, helping them lead lives of opportunity. Wealth foundation working for social awareness, women empowerment. Muskan Foundation’s started on February 2007 by Mrs Dipti Gandhi to help children with multiple disabilities. S.A.F.E. has been working on environmental issues since 2010 with the mission of Environmental Justice. Aasra functions as a unit of Befrienders Worldwide/ Samaritans and is a non-religious, non-political and non-sectarian organization helping people in despair. WannaThankYou is now partnering with NGOs! With millions of people being oblivious to other side of the society, the Non-profit Organizations are making every attempt to create a balance in this planet. We want the news of goodness to be spread all around the world. We want people to know how an act of kindness is making all the difference in this world! If you are an NGO, sign up with us now! Let's make the difference bigger and better! CRY Foundation has been making an impact in the lives of thousands of children by giving them a happy childhood. We extend our gratitude to CRY - Child Rights and You for being a reason for a thousand smiles and making all the difference in their lives. An NGO with a mission - ''To connect you to causes you are passionate about so together we can make change happen in India – in our lifetime.'' - @smallchange_ngo Let's support their good cause. WTY extends its gratitude to The Banyan, a Chennai- based NGO which is addressing mental illness by ensuring a quality life for individuals experiencing psychosocial distress. 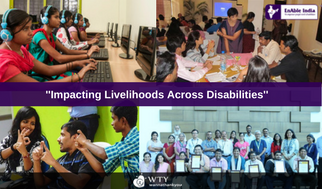 Enable India’s core activities are the employment of people with disabilities, pre-employment services, supplemental education, counselling and support services, consultancy and training for other institutions and NGOs and technology services. We want to take a moment to thank Akshara Foundation for making the lives of hundreds of thousands of children's lives colorful by providing them with the quality education. Kudos to you guys! Aarti, an NGO helping abandons children with care love and shelter. Aarti supports abandon girl in kandapa by providing them with opportunities and home. Aarti aims to provide these women to achieve economic and emotional independence and also helps them to gain confidence and know their personal rights. Snehalaya meaning a "Home of love" is an NGO organization provide support for women, children and LGBT communities, who have been affected by HIV and AIDS, trafficking, sexual violence, and poverty. We show our gratitude and appreciation for all of their good causes. "Annapurna has received more and better recognition after getting featured in WannaThankYou portal. WTY is doing a great job by spreading goodness to the world and helping our good deeds to get noticed." Promotion (2 social media post creation or 1 blog post creation or 1 video creation). Want us to support your custom requirement?